New Zealand has voted for its bird of the year 2018 and it's one known for being "drunk, clumsy and a bit of a clown", organisers said on Monday. 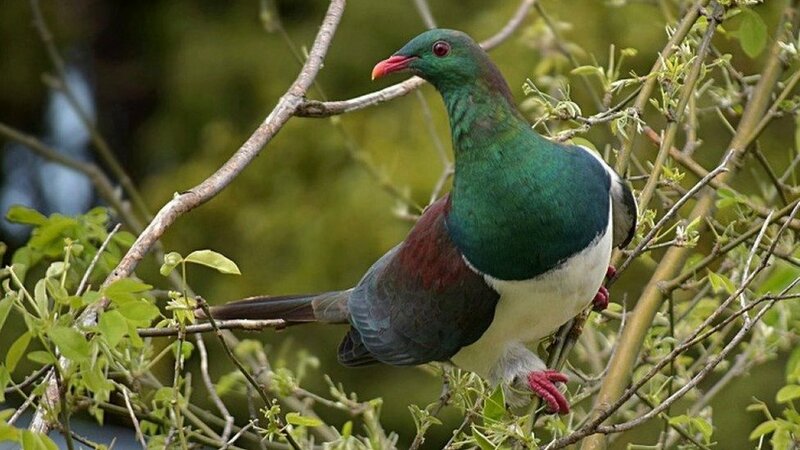 The New Zealand pigeon or kereru has a liking for fermented fruits, which contain alcohol which means that the birds can get quite tipsy at times, displaying clumsy antics and falling off trees, reports the BBC. This year's campaign saw celebrity endorsements from actor Stephen Fry and comedian Bill Bailey, while one species even had a profile on dating app, Tinder. The kereru is one of the few native birds in New Zealand that is not endangered. "They have quite a reputation of being large and clumsy and being a bit of a clown," Megan Hubscher of Bird and Forest, a conservationist group that runs the annual vote, told the BBC. "There are a lot of videos around of kereru getting drunk and stumbling around in a comical manner," Hubscher said, adding "That's part of the charm. they're just very loveable birds". The whole campaign to elect a bird of the year is run to draw attention to New Zealand's birds and the threats they face. Prime Minister Jacinda Ardern congratulated the kereru even though she had been rooting for the taiko, or black petrel.